Imagine touching an electric eel - that would probably hurt a lot. 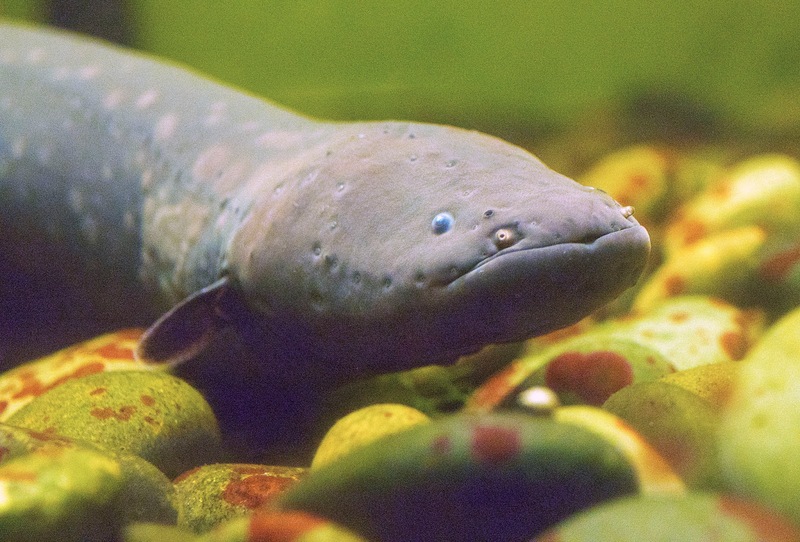 Now, imagine touching an electric eel for science! That's what one biologist at Vanderbilt University did to get an accurate measurement of an electric eel's shock. Vanderbilt University researcher Ken Catania stuck his arm into a tank with a small eel - 10 times. Measuring the shock from this experience allowed him to solve an equation he extrapolated to measure the power released by big eels - whose shock is said to be like getting tasered nine times at once. "Eels are essentially batteries immersed in water, and I wanted to solve the question of how powerful those batteries are," said Catania. "What’s the internal resistance of the battery? What’s the resistance of the water? My past research left out the last variable: my arm." To get an accurate measurement, Catania created a device that utilized a copper wire to conduct the electricity from the shock to his arm and then back to the water. The BIGGEST daily headlines in Astronomy, Technology, Biology and in All of Nature! We also feature talented astrophotographers and their works weekly. Initially beginning as a small-time hobby of a bored high-school student, NewsoftheUniverse.com has grown across multiple platforms and has grown into a distinct and unique entity. Run exclusively by students of all ages, NewsoftheUniverse.com is your one stop to finding your daily scoop on all things astronomy, technology and biology - all to be read in less than five minutes.